What the early warning signs are. How to perceive the early signs and symptoms. How to interpret the information within the whole clinical picture. How to act for the benefit of the patient. As a healthcare professional, you care for patients with a higher acuity than ever before. You use the clinical signs of illness to help you recognize a patient care dilemma. What if you could see the signs that compensation was taking place before the process failed? You can! Setting goals and priorities in a crisis are crucial to outcomes. Some signs are more important than others and need to be taken care of first. This seminar will show you how to recognize the subtle signs of compensation and act to head off a crisis. Carol Whiteside will show you how to identify the signs and symptoms before the patient crashes. Carol will examine the body's complex, interrelated organ systems and break them into their component parts. You will see how a problem in one organ system can cause a sign or symptom in another organ system. You will see how setting a bad goal, or no goal, can be very detrimental to the patient's well being. If a crisis does occur, the effectiveness of setting goals and priorities will determine the outcome for the patient. Please join us for this valuable seminar and learn how to prevent and manage a crisis in your patient! Recognize the signs of compensation in the human body before illness appears. Interpret what is happening in the body physiologically when the heart rate and respiratory rate go up. Identify the components of cardiac output. List three signs of left heart failure and describe the physiology behind them. Describe two symptoms that differentiate ARDS from other forms of respiratory failure. Identify the level of oxygen to be given a CO2 retaining COPDer in crisis. Recognize three ways that CHF differs from the other forms of shock. Explain two ways in which benign and malignant headaches differ in their presentation. Relate four signs found through the look test indicating a change in the patient's condition. Describe the physiological mechanism driving the changes seen in patients after surgery. Identify the first sign of compartment syndrome. List three components of "painting the picture." Integrate the concept of critical thinking as it applies to your clinical practice and patient care. Carol Whiteside has been a nurse for over 35 years. She is a clinical nurse specialist and a cardiovascular nurse specialist. 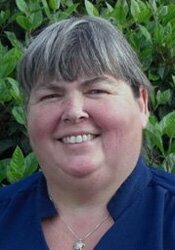 Carol has been a staff nurse, cath lab manager, nursing supervisor and director of education. She previously worked in a trauma unit, medical surgical unit, cardiac ICU, medical ICU, adult and pediatric open heart surgery, neonatal ICU and a burn unit. Carol has also been a preceptor and a clinical nursing instructor. Additionally, she is a sought-after presenter, sharing her expertise nationwide on critical care topics, EKG interpretation, ACLS and critical thinking. She has the unique ability to combine her extensive clinical background with essential critical thinking strategies to help others learn how to best intervene for patients. You will leave with the skills and techniques to anticipate the subclinical signs of impending doom in patients entrusted to your care. Financial: Carol Whiteside is receiving a fee for speaking at this educational activity. Nonfinancial: : Carol Whiteside has no relevant nonfinancial relationships to disclose.